Machinery Space Ventilation Blog - Zazz Engineering, Inc. 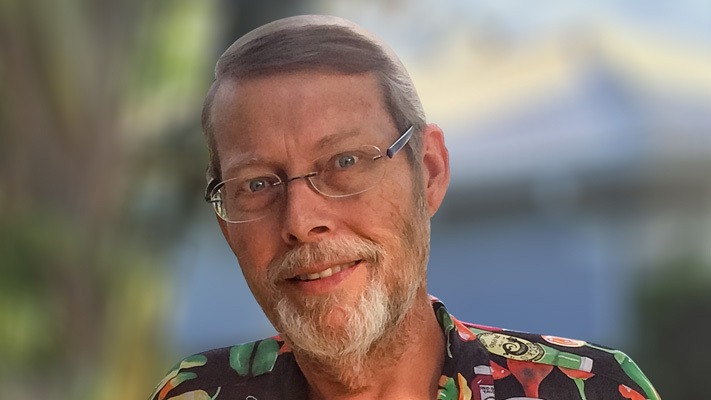 Early in April 2017, Zazz founding partner Gregory Newton passed away. He was the heart of our engineering team, a strong leader and a sharp mind. 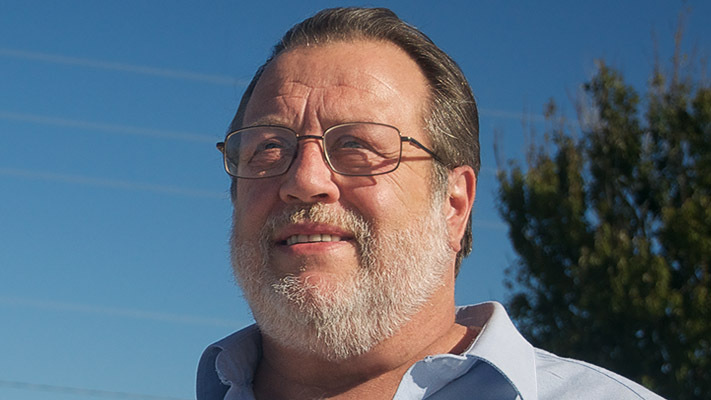 Greg was also a founder of Delta T Systems, where he spent twelve years as Vice President, Chief Engineer, and designer. During his time with Delta T, he designed and developed many engine room ventilation products. In the ten years prior to his work with Delta T, Greg owned and operated his own company. He provided marine survey, engineering, consulting and project management. This culminated with the engineering and construction of the 112 ft. “Margaux”, a high-speed aluminum motor yacht awarded “Most Innovative Motor Yacht” of 1994 by Showboats International. This vessel served as the development prototype for the original automatic pressure controlled engine room ventilation system at Delta T Systems. At the time of his passing, Greg was in his early 60s. We were proud to work for him, and we thank him for all his hard work. With heavy hearts, we inform you of the passing of George “Good Guy” MacDonald this past Sunday. George was a founding partner of Zazz Engineering in 2010. With his knowledge of the industry and sales, he helped Zazz grow to the leader it is today in commercial ship moisture/air control systems. George grew up on the water, boating with his family and friends. After serving in the US Navy during the Vietnam War, George owned and operated a glider school before moving to Florida and starting Mac Seal Inc. based on his US Patent for dripless shaft seals. In 1993 he sold Mac Seal to Duramax Marine and became their Sales Manager for shaft seals focusing on government accounts. Later, George took his knowledge of Government accounts and worked for Delta T Systems as the Northeastern Sales Manager. For many of our customers, George was the warm smile and firm handshake of Zazz Engineering. We will miss him dearly. 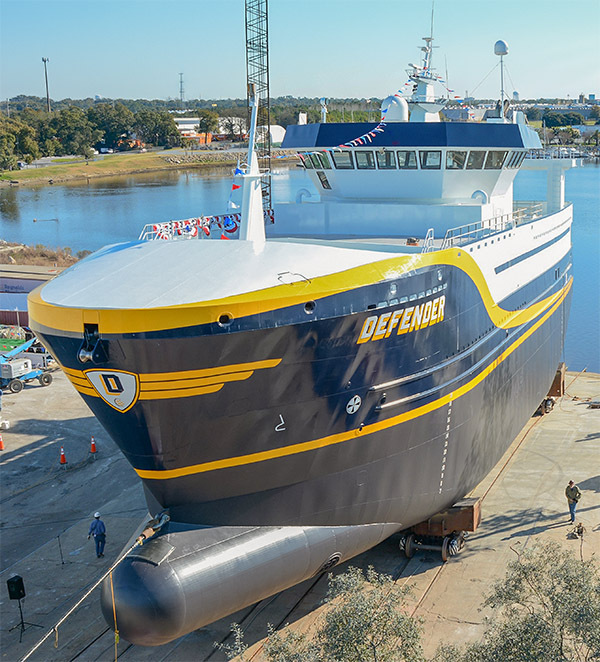 In February of 2016, Patti Marine Enterprises of Pensacola, FL launched the DEFENDER. This 170-ft pollock boat used to be known as the Western Venture, a herring and mackerel boat operated on the East coast of the US. 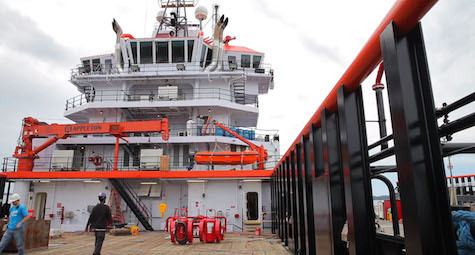 Patti Marine was tasked with performing a stern extension and refit of the vessel. Jensen Maritime provided engineering services for the conversion. Thanks to Patti Marine and Jensen, the DEFENDER now sports a massive fish pumping system, a bulbous bow, a whaleback bow cover, antiroll tank, new propellers, new nozzles, and Zazz MRC vents on the vessel's major intake and exhaust ports. The DEFENDER is now part of the fleet owned by Seattle's Global Seas, who will operate the vessel in the Bering Sea. It is Global Seas' first fish pumping vessel, and it has the largest wet fish hold capacity of any fishing boat in the United States. Zazz is proud to be on board one of Workboat Magazine's Top 10 Boats of 2014! 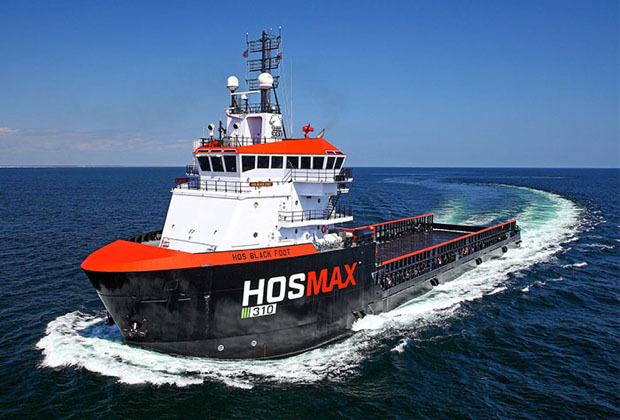 Designed by Vard Marine, built by Eastern Shipbuilding, and now owned by Hornbeck Offshore, the HOSMAX 300 and 310 class has been named one of WorkBoat Magazine’s top ten boats of the year! Each vessel in the class features eight Zazz MRCs, mounted on the rear of the superstructure. These are beautiful vessels, and we are proud to have our products on board. “ABS Witnessed Hose Test on 29 May 2014 by George Morris. Passing the test was anticipated, and is great news for current and future MRC customers! Using the Zazz MRC eliminates the need for fixed demisters or louvers on vessels where air openings must be weather-tight.